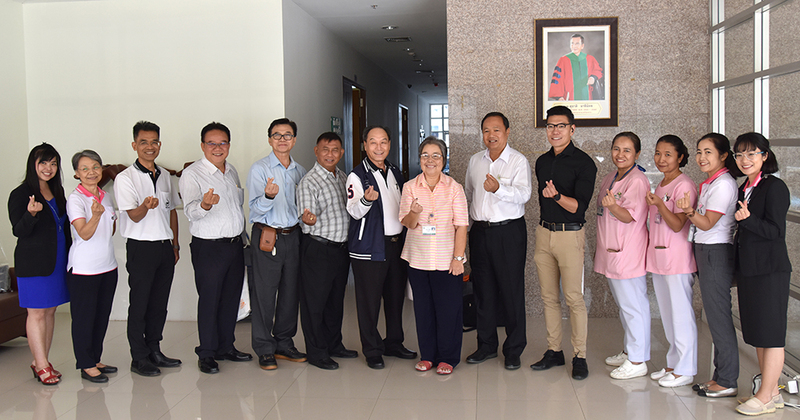 Friday, March 23, 2019, Foundation held our Annual Committee Meeting at the Vejchitchakarn Building meeting center, Faculty of Medicine Khon Kaen University. The meeting addressed the progress of the Foundation for fiscal year 2019 and highlighting the CCA Curative and Palliative Surgery Program. The program mission is to perform 500 curative and palliative surgeries for economically challenged cholangiocarcinoma patients and is dedicated to remembrance of His Majesty King Bhumibol Adulyadej’s greatness, and 84th Birthday of Her Majesty Queen Sirikit. In addition, the Foundation board members also jointly presented suggestions for operational direction for the foundation in the future.